The unmissable meeting place of the construction industry has just closed its doors in Munich. MAC3 took advantage of this show to unveil its latest innovative solutions for compressed air. This year, the company presented products designed in a "sustainable development" approach, being both environmentally friendly and ergonomic, for superior user ease of use and comfort. If you have not been able to visit the show, we offer you an overview of the news presented on the MAC3 booth. 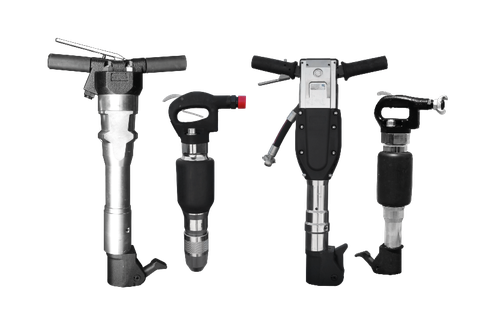 MAC3 completes its range of pneumatic tools with its PAC3000 air pick. Developed to clear sensitive areas (water/gas pipes, electic cables and networks, etc.) safely, the PAC3000 is an ergonomic tool for easy, safe and secure access to the work area. Always looking for solutions to improve the working conditions around its products, MAC3 has developed the VDT. 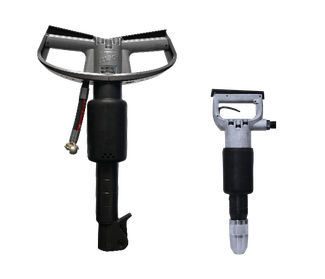 A dust extraction system adapted to fit directly to all concrete breakers, chipping and pick hammers. The VDT does not require any additional source of energy other than the compressed air that is already available to power the air tools. Do you want to discover these innovations in more detail? Please do not hesitate to contact your usual sales representative or send your request and any inquiry to www.contact@mac3.fr Stay tuned for further information and we invite you to follow us on our social networks!